877-208-5632 rick@greatlakesflb.com New & Refurbished Forklift Batteries - Michigan, Ohio, Indiana & the entire U.S.A.
Is Rebuilt Right For You? Best Price Guarantee * Best Warranty in the Industry * 24 + 36 + 48 Volt in Stock! At Great Lakes Forklift Battery we sell only the best American made industrial batteries available at the lowest possible factory direct pricing. Below is a list of our most popular in-stock sizes. These batteries are typically ready to ship from the Illinois factory within 3-5 days from order placement. If you do not see your battery listed below, just give us a call. The 6 Hour AH rating below is for forklift applications, and the 20 Hour AH rating is for off-grid solar power applications. Any questions… Give us a Call! Great Lakes Forklift Battery Inc.
All of our rebuilt forklift batteries come standard with a one year repair / replacement warranty. Covering parts, labor & diagnostics. That’s 12 months of coverage! If our battery fails to reach its specified rated capacity within 12 months of purchase, we’ll pay to have it repaired or we’ll replace it. It’s that simple. You can trust Great Lakes Forklift & Off-grid wind & solar batteries to deliver the best solution for your company’s off-grid battery needs. Whatever you need, we have it! Email us for more information, or simply call us at 877-208-5632. 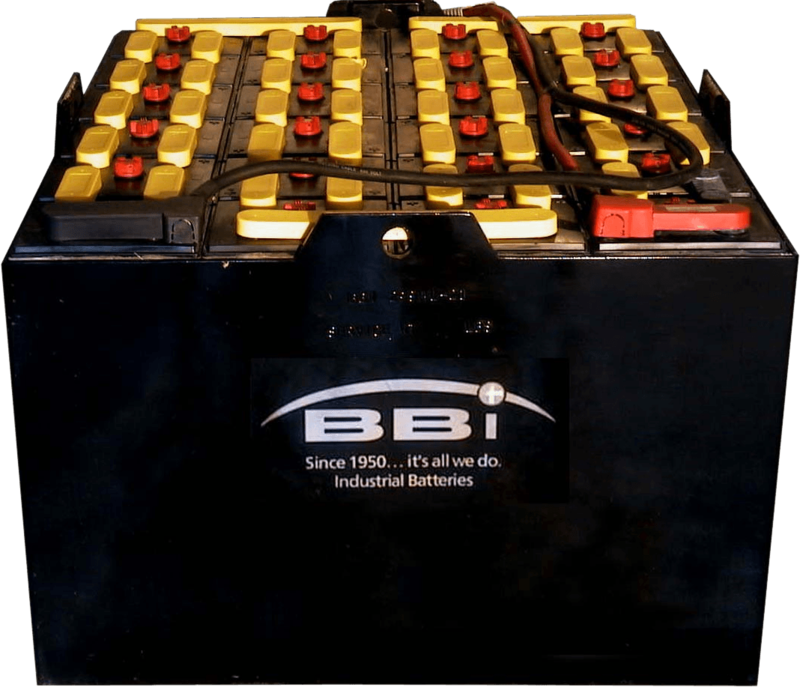 Best new & reconditioned forklift & off-grid batteries in America!